Targeting enhanced navigational speed and autonomy for the space exploration rovers, researchers are gradually turning to reconfigurable computing and FPGAs. High-density space-grade FPGAs will enable the acceleration of high-complexity computer vision algorithms for improving the localization and mapping functions of the future Mars rovers. 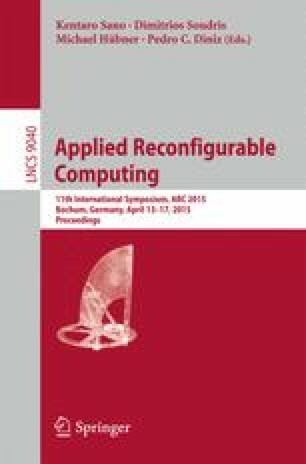 In the projects SPARTAN/SEXTANT/COMPASS of the European Space Agency, we study the potential use of FPGAs for implementing a variety of stereo correspondence, feature extraction, and visual odometry algorithms, all with distinct cost-performance tradeoffs. The most efficient of the developed accelerators will assist the slow space-grade CPU in completing the visual tasks of the rover faster, by one order of magnitude, and thus, will allow the future missions to visit larger areas on Mars. Our work bases on a custom HW/SW co-design methodology, parallel architecture design, optimization techniques, tradeoff analysis, and system tuning with Martian-like scenarios. Projects funded by the European Space Agency (reference numbers AO/1-6512/10/NL/EK, 4000103357/11/NL/EK, 4000111213/14/NL/PA).